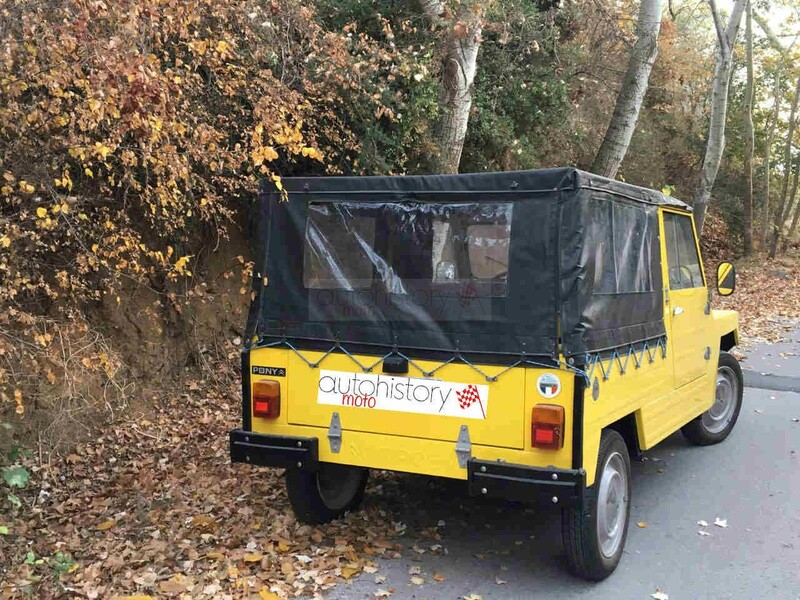 The Pony is a Citroën 2CV6 based, FWD all-terrain utility vehicle that was manufactured under license by NAMCO (National Motor Company) in Thessaloniki, Greece from the mid 70s until 1983. 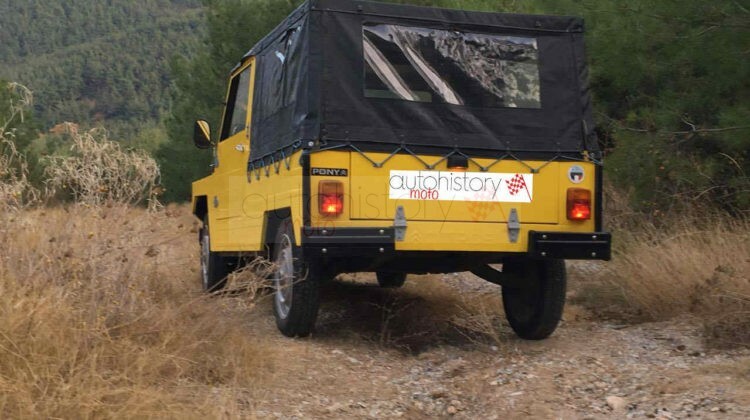 Although several thousand vehicles were produced over the years, very few survive to this day, since the majority of these were used as military staff cars, Hellenic Post delivery vehicles and by a variety of other utilities. 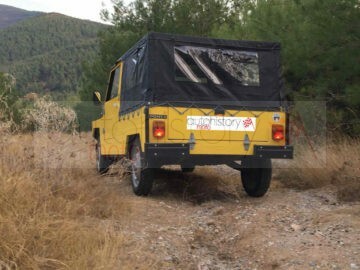 Furthermore, as private owners typically took full advantage of the Pony’s ability to traverse difficult terrain in the mountains and on the Greek islands, it is estimated that less than 100 Ponies have managed to survive to this day. The Pony is an extremely well built variant of the legendary 2CV, and was designed for heavy duty use and ease of repair, and can be classified as an “industrial strength” steel Mehari! Each Pony is unique since all the heavy-gauge steel panels were pressed and finished by hand at the assembly plant in Thessaloniki, while small upgrades and detail changes were frequent and rarely announced. This Pony is a 1981 model, which features an upgraded interior (with Citroën Dyane and LN parts) and a slightly narrower windshield than its predecessors. The current (second) owner of the car has been enjoying it as a family summer/vacation “toy” of choice since 2010. 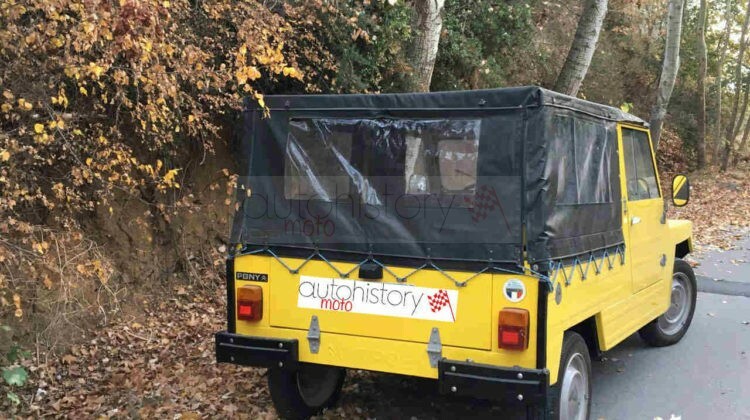 It was originally purchased and registered in Athens in 1982; this explains the lack of rust and relatively minimal wear and tear that needed to be addressed in 2015, when a complete cosmetic restoration was performed, using only NAMCO sourced parts. The original registration, accompanying paperwork and owners manual, as well as period promotional flyers, are all available. Interestingly, this Pony was originally registered as a commercial vehicle, and the nature of the business is listed as “Fresh Egg Sales”, which may explain the color choice! 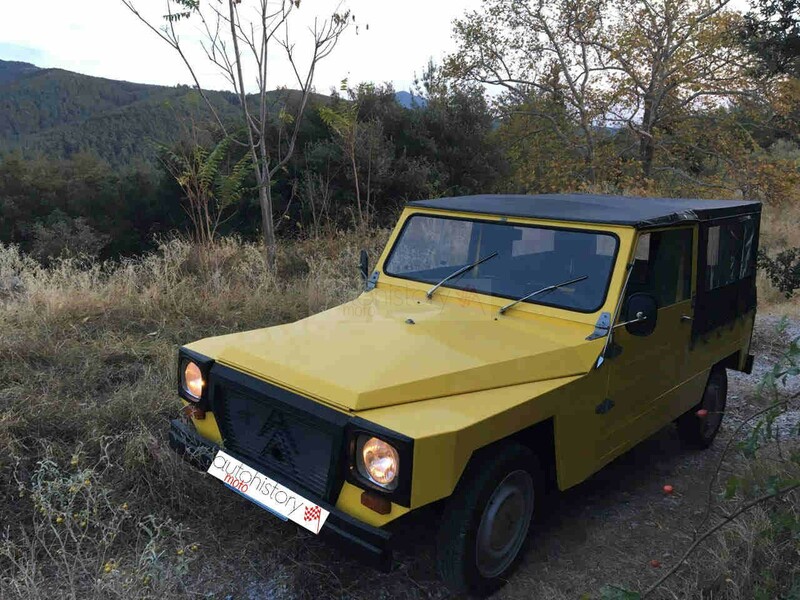 The car has only had one external re-spray in Citroën AC333 yellow, while the engine bay and passenger compartment has never been repainted since new. The engine is the original, factory-installed Citroën 602 cc unit, having required only standard maintenance over the years. The interior upholstery was re-trimmed in 2016, but retains the original NAMCO embossed seat centers and rubber mats. The removable vinyl top is the very last NOS unit that was available at the NAMCO plant, while all other replacement parts used are NOS as well. 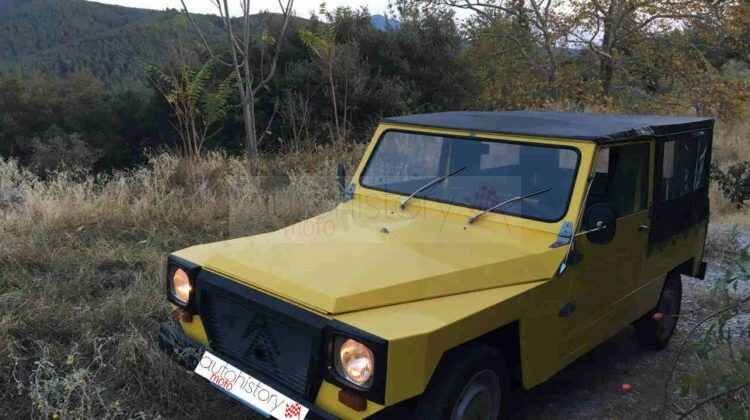 This is undoubtedly one of the very best, all-original Pony models in existence today; it would surely make a great addition to any Citroëniste’s collection “raisonné” or as a handy estate or fun vacation-home runabout!